This year, Google announced its pixel smartphone and broke convention with its flagship phone, coming fully toe-to-toe with its high-end iPhone competitor. While the old Nexus phones had pretty good cameras too, Google claims this one to be the best smartphone camera till date. But the question is how does this Pixel perform in comparison with the iPhone 7 and is it really worth a switch from the great iPhone 7? I have all of your questions answered in accordance to what the critics think about each phone’s camera and comparison reviews on various smartphone review sites. One should not forget that photography and image quality are subjective. What looks better to someone might not to another. To me, there are few things a good smart phone’s camera must have like dynamic range and rich colors, sharp details in low-light photos and fast shutter speed so that I do not miss a shot. 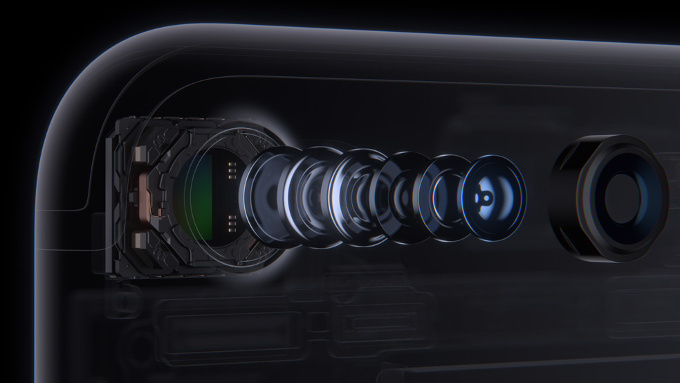 Apple’s iPhone 7 does check off all of these with its dual-camera system that has 2x optical zoom and a game-changing portrait mode. Talking about the resolution of both handsets, both have the same back camera resolution of 12 megapixels, whereas the front cameras differ with 8 megapixels in Pixel and 7 megapixels in iPhone 7. But again what makes it so special that it scored 89/100 according to the analysts. Pixel has optical image stabilization as well just like the iPhone 7 and the ability to record video in 4K. But the best part is the addition of HDR+ along with a smart burst feature that automatically selects rapid photos and selects the best one. Landscapes appear great on both phones, but Pixel performs better. With slightly more saturated colors and more identifiable and sharp backgrounds. Whereas, the iPhone’s shot gives slightly muted and conservative results. Thanks to the wider angle lens which gives Pixel XL’s camera a wider field of view making it more versatile in comparison with the iPhone 7 for landscape photography. 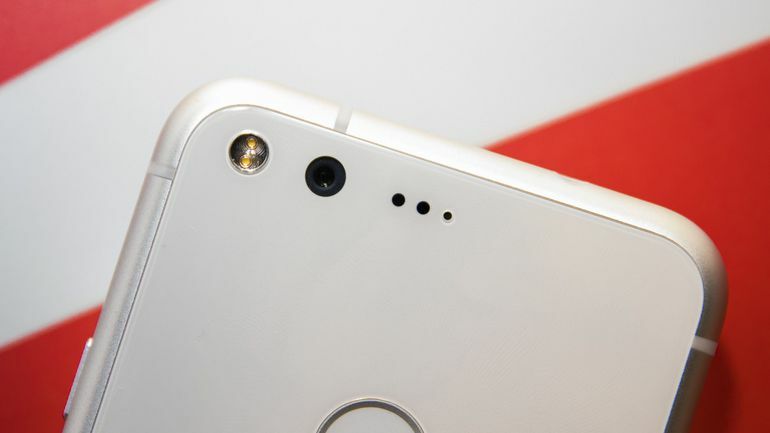 Even on enlarging photos, the Pixel gives more crisp results. The iPhone 7’s result is a bit flatter than the Pixel’s which produces more vibrant pictures than real life. The Pixel’s camera is doubtlessly more garish and this problem seems to have been overtaking many android phones. Such artificially amplified colors might bother some people but then again its personal preference. Turning the HDR+ off balances the saturation a bit but it is not worth it in Pixel because it results in slow camera performance. Neither of the phones lag in shutter speed and give impressive results but there are more contrast and details in a photo taken from a Pixel’s camera. This is where iPhone 7 takes an obvious lead. With its precise autofocus system, iPhone 7’s shots have more depth. The minimum focus distance for Pixel’s camera is more than that of the iPhone’s. The iPhone 7 again has an upper hand in this one. On the Pixel this feature is called as Lens Blur. This mode is very easy to use in an iPhone and gives somewhat DSLR-esque pictures. It creates this effect through its telephoto lens. Whereas the Pixel camera is not very effective in distinguishing between the subject and the background. Pixel XL clearly does a better job than the iPhone 7 with its high megapixel sensor.Not only does the selfie taken from a Pixel look sharper, but it also has a wide-angle. The picture also comes out brighter than the iPhone which has a retina flash feature. When it comes to low light photography, Pixel obviously blows the iPhone out of the water. Pictures come out better lit and very close to real life. The Pixel XL has very impressive video recording capabilities. Pixel uses electronic image stabilization (EIS) through which even the shakiest footage appears smoother than the iPhone 7. Android has finally caught up to iPhone with its comparable performance and image resolution. It is super fast. Pictures look incredibly crisp and have great dynamic range and low-light performance is pretty good too. So what’s there not to like about Pixel?